Posted on November 23, 2018 by Smorgasbord - Variety is the Spice of Life. I love reading and writing short stories, so in the next couple of Christmas book promotions I am going to share some of the collections on the shelves of the bookstore. I Loved it! I just finished reading this book and didn’t want it to end…then I realized it hadn’t. The characters in Bethea’s book are so real, so captivating, so powerful, that their stories will stay with me even though the last page has been read. If you are looking for great humor, stories of perseverance and triumph, wisdom, and above all, love, this is the book for you! Thread and Other Stories” is a short story collection that ranges from historical to science fiction. There are seven stories that I’d have a hard time picking my favorite from because they are so different, but they are all well-written. I was involved in each story with the characters and outcome for different reasons. “Conflict” the tale of two friends in World War 1 was the one that touched me the most with their friendship and the horror of war. In “Thread” I was immediately drawn into the story of two poor orphans and their struggled to survive—I was rooting for them. The most interesting though was the story “Conversation” that was weaved around the other stories in six parts. I thoroughly enjoyed the different genres and the mystery of “Conversation” in this creative collection. I look forward to reading more from this author! Three of the stories in Thread are also available separately. First Everything, Now This is a collection of the 10 most popular short stories taken from The Daily Children’s Tales of Gregg Savage. Combining humour, philosophy and imagination, the tales are designed to entertain you while encouraging a fresh perspective on your daily experiences. Each story takes place in a world where things may not work out for the best and where the mundane can become the extraordinary in a matter of minutes. A new tale is written daily and posted on greggsavage.net to allow the audience to interact with a story that was written only moments ago. Immerse yourself in the world every day by visiting the website and joining in the conversation. I have been following the progress of this author’s quest to write a short story on his blog, each day, for one year since 22nd October 2017, and was delighted when he decided to publish some of them. This book is only a very small sample of the range and variety of tales he has told, so I sincerely hope he publishes more (preferably all) of them, for the wider world to enjoy. If you (and your little ones) have enjoyed these ten tales as much as I have, I recommend you visit his blog to read the other tales posted to date. Posted on December 3, 2017 by Smorgasbord - Variety is the Spice of Life. An intriguing collection of vignettes, micro fics and collected thoughts. There is a strong atmospheric sense to the writing and the author’s turn of phrase is alternately lyrical and stark.This reads quickly, but many of these short snippets offer delicious phrasing and unique word choices to ponder. Nicely done. Also by Sarah Brentyn and anthologies contributed to. Posted on August 24, 2017 by Smorgasbord - Variety is the Spice of Life. The next author who has received a great review is Brigid P. Gallagher for her memoir Waiting for Daisies. I didn’t know what to expect when I bought Brigid’s book. What I got though, was the author’s personal journey of discovery ; of places, of the mind and of the soul. This book is written with remarkable openness and honesty, although the graphic detail of a miscarried pregnancy was a bit too much for my mere male sensibilities. Her drive to seek answers and cures spurred her on to knocking on doors and engaging fully in whatever field she entered. She committed fully, whether it was complimentary medicine, mystical cultures or matters of Faith. You could say that her journey was Holistic. Along the way she had plenty of fun and enjoyment. Although she travelled alone, who travels light, travels quicker, she always seemed to meet up with kindred spirits, who embellished her travels. Like every life journey, there is sadness and sometimes tragedy. Brigid had her share. It would be natural for someone with her outlook to feel close to nature and so it is with her, as her passion for horticulture testifies. However, it occurred to me, at the end of the book, that she has found her spiritual home, like many others have, in the beauty of her beloved Donegal…the coolest place on Earth. (c) National Geographic. Now time for a recent review for the poetry collection, Summer Magic by Marcia Meara. After having read all Marcia Meara’s books and loved them all, and am patiently waiting for more in near future, I have decided to purchase Poems of Life and Love. Again I was not disappointed. Marcia is a master at getting your feelings of love and appreciation of life’s joys, and frailties sorted out. So many memories are awakened. I did not think poetry would be that interesting to me. I look forward to more. Posted on April 4, 2017 by Smorgasbord - Variety is the Spice of Life. Their mother, Queen Serena, offers the pair sanctuary, but all is not right. Betrayed by the royal family and almost drowned in an orca hunt, Jean must leave Linka behind. His mood is darker than ever and the world will feel his fury. Renewing old acquaintances, both good and bad, Jean must solve the mystery of who manipulates him and the deepening saga of his parents’ deaths. Now, Jean fights for more than just himself; he fights for love. This was truly a book I found hard to put down. Having read the first in the series, I wasn’t sure if the sequel would be able to match the tension and excitement created by the author in The Eternals. In fact, Mr. Ankers exceeded all expectations with this breathtaking, pulsating follow up to his initial work. Accompanied by the almost ethereal Nordic Princess Aurora, Jean, the stoic, attitude laden Eternal sets out on a quest to try and discover just who is trying to manipulate his life, and why. The surprises come thick and fast in a true roller-coaster of an adventure that left me breathless at times, eager to turn to the next page to see what would happen next. Jean’s old friend/Nemesis, Merryweather makes an appearance with Jean still unable to decide just whose side he is on and yet again the mysterious monks, the Sunyins have a part to play. In a world teetering on the edge of annihilation, Jean makes uncomfortable discoveries about his past as he attempts to shape the future of his dying world. Another triumph for the author with an ending that leads perfect into the third book in the series. I can’t wait! Now for an April 1st review for Linda Bethea’s very popular book Everything Smells Just Like Poke Salad. And author Patricia Salamone highly recommends. Linda Swain-Bethea comes from a long line of wonderful storytellers and weaves Kathleen Holdaway-Swains memories into a delightful look at what life was like being raised during the Depression. Living in Cuthand, Texas a small out of the way town, considered the low country. Despite hard times, Kathleen’s parents made sure their children always had a roof over their heads, clean clothes and food on the table, including Poke Salad and received an education. Her detailed description of her family and life in Cuthand will have you laughing and yet there leaves a sadness that folks had to live through such hard times when every penny counted. You will meet the family and neighbors, friends and enemies through the eyes of a youngster from a poor but loving home. How the years of WWII affected her family and her future. Kathleen gets herself into some precarious situations as a child due to her strict moral values instilled in her by her parents. It will keep you turning the pages to find out what happens next. Her dreams for her future take twists and turns as she forges into the unknown and winds up in Louisiana and finally realizes her dream, only not quite the way she thought it would be. Kathleen is alive and well and has not lost her sense of humor. She is surrounded by her loving family including her great-grandchildren. There are also several photos included which put a face to some of the real people in this memoir. 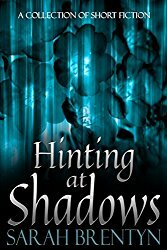 The final review today is for the short story collection Hinting at Shadows by Sarah Brentyn. I actually read this book some weeks ago, but it has taken me a while to reflect on it. In fairness, it took me a while to read it, but that was a deliberate choice I made. The book is a collection of short stories or, more accurately, flash fiction, a style of writing that I’m not overly familiar with. I have rediscovered my appreciation of short stories in recent years, which was what brought me to this book. What I found inside was an experience I hadn’t had before. Stories that were over in minutes (sometimes seconds), but that left me thinking. So, although I started out with the intention of ploughing my way through it, I came to realise that I could only read a few at a time. Like a fancy box of chocolates, if I’d wolfed those stories down, I wouldn’t have been able to appreciate them. 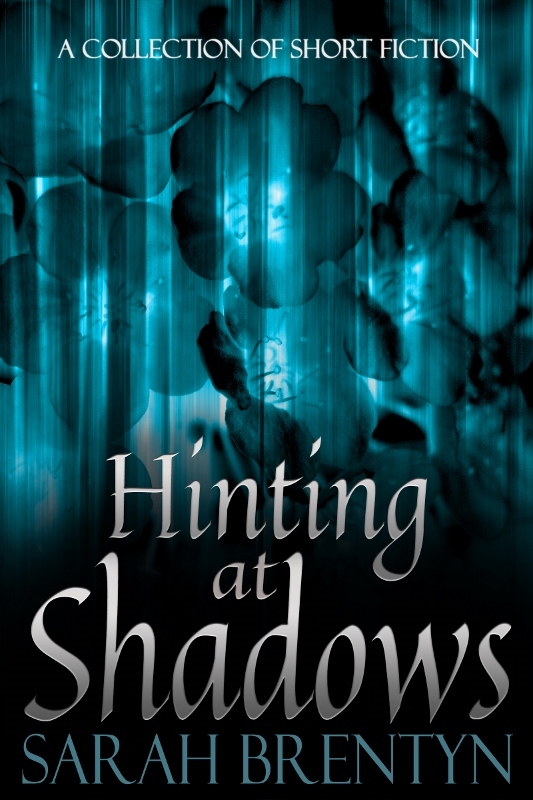 As the title suggests, dark places are visited throughout the book. What Brentyn has done here is create intricate experiences that touch nerves through some carefully crafted narratives. This is not a book that will appeal to everyone. My own feeling initially was one of uncertainty. Yet, by being patient, and savouring the morsel-sized tales, I came to appreciate the author’s mastery as a storyteller. There are lessons to be learnt here for all writers. Posted on February 16, 2017 by Smorgasbord - Variety is the Spice of Life. Today’s author is Sarah Brentyn with a collection of flash and micro fiction. Hinting at Shadows which was released in November 2016. Author’s Note: Each selection is approximately 100 words, with a bonus section of Microbursts in which each story is told in 50 words or less. Although short this book gave me a long read. Rather than read in a single sitting, I preferred to have the thought provoking flash fiction, short stories, micro flash and one liners, wash over me slowly, letting me digest the twists and turns and black places Sarah Brentyn took me. She I s a master at this genre of writing, with twists that are unexpected as they are shocking. no story exceeded 100 words and many, including those that hit hardest, were over in a blink of an eye, yet stayed with you, rocking you to your core. I am going to give nothing away and hence my review is as short as Brentyn’s book but nowhere near as powerful. I highly recommend this book of psychological shorts. Anthologies that Sarah has contributed to. Sarah Brentyn is an introvert who believes anything can be made better with soy sauce and wasabi.She loves words and has been writing stories since she was nine years old. She talks to trees and apologizes to inanimate objects when she bumps into them.When she’s not writing, you can find her strolling through cemeteries or searching for fairies. If you would like to join the other authors on the shelves in Sally’s Cafe and Bookstore please read the following.